When you have reached the interview stage, you can give yourself a big tap on the back for making it this far,as manydon’t. We have had applicants congratulated for doing exceptionally well for making it to this very point from over 1700 applications!! You have obviously made an impression with your resume, application letter or LinkedIn profile and possibly responses addressing the selection criteria requirements, if this was warranted. Therefore, you want to continue projecting the same confidence, and preparation is the key. For example, in some instances, you may respond to a position and get an immediate reply. Such as from private enterprise, in need of a quick fill or from employment agencies needing good candidates. This may involve a quick telephone interview to get a feel for you and to determine if you will be short listed for a full interview. There are hundreds of questions to ask a candidate, however many of these are similar but are presented differently, and many people answer these differently which is not a good start! You will find that the situation, Task, Action, and Result (STAR) approach is the most favorable method used to address any questions. This method is the most reliable for the interviewer to assess your capabilities aligned to the job requirements. These relate to real-life examples. Therefore, you do not answer how you would deal with a situation(which is always a lot easier and provides the interviewer with what they want to hear) – but how you dealt with a situation (which is a lot harder).Even when asked how you would deal with an issue – you should relate this to an example. “Well, last week the same occurred……….etc.Thereby giving the interviewer the situation (issue); the task (your involvement); what you did to resolve the issue (action (most important)), and the result (the outcome). Once we know the specific position you are applying for, we can gauge the type of questions that would be presented to you by looking at the primary purpose of the role and key accountabilities. If you are applying for a government position we need to match the capabilities required of the position by demonstrating the right type of behaviours. We will select a few questions that will match these, and go through these with you individually. We will put everything into perspective. We will jog your memory if need be and come up with a situation that matches the requirements. We will use the STAR approach so that you become familiar with the process of addressing the questions. Therefore, giving you enough examples to draw from in preparation for your interview. 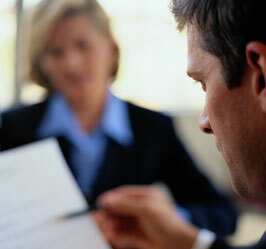 A good idea would be to tape the interview session so that you can recall information. You will see how confident and focused you will become after undertaking the Interview Techniques. The positive interview experience will not only serve one job but equip you for others. To book an interview session – pay, upload your application and job title, and any reference number and your resume. We will make contact and book a time for you. We do FaceTime, telephone and Skype sessions, so please leave contact details.